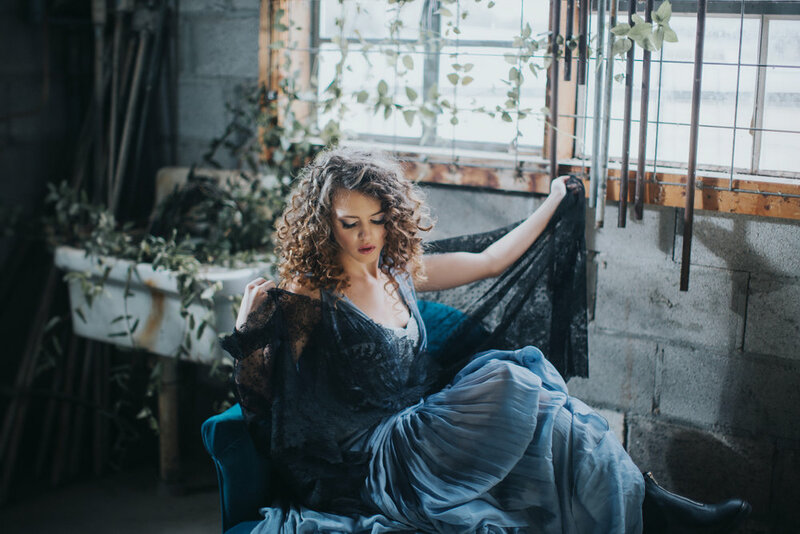 All photos displayed here & elsewhere on this site feature hair & makeup created solely by Christy Johnson (C. Johnson Makeup). 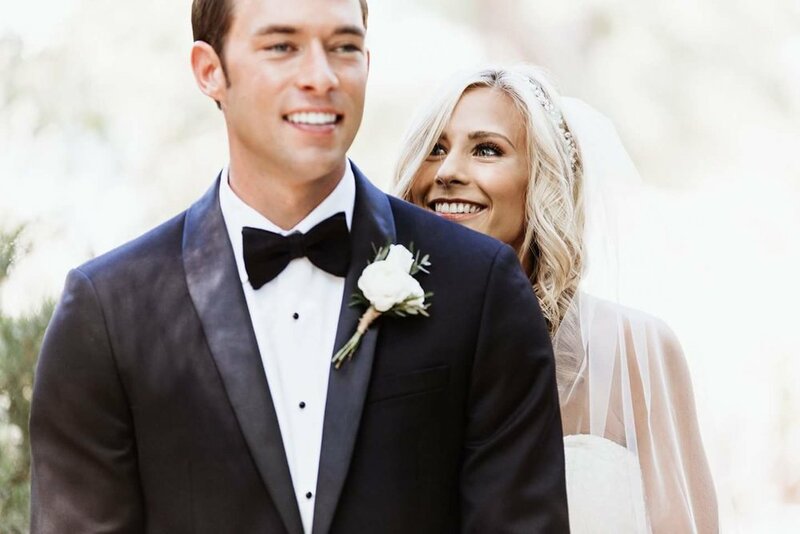 Photos are all graciously provided by various photographers for portfolio use; some are styled photos, others are from real weddings & are used with permission of the client. For detailed information on photographer, publication, venue, apparel designers, set styling, coordination, floral work, & more please refer to each individual photo. 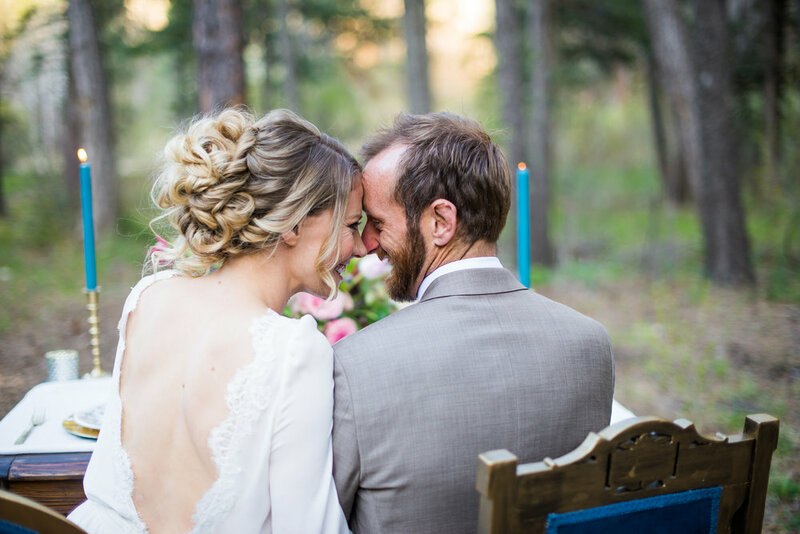 Real Wedding: Jennifer & Trevor. Location: Los Poblanos Historic Inn, Albuquerque, New Mexico. Photographer: Loren x Chris. 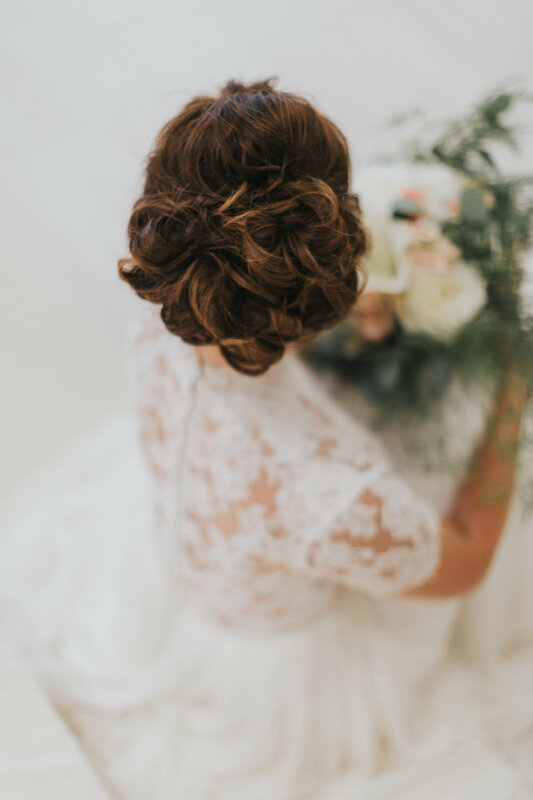 Lifestyle shoot at Girlie Bird & Co.
Styled Wedding. Hyatt Downtown, Albuquerque, NM. Blue Rose Photography. Model: Emilia Dzula. Published in New Mexico Wedding & Event Planner Magazine (cover). Model: Jacqueline Vega. Maura Jane Photography. Real Wedding Spring 2017- Mackenzie & Cassandra. Los Poblanos Inn. Beth Wells Photography. 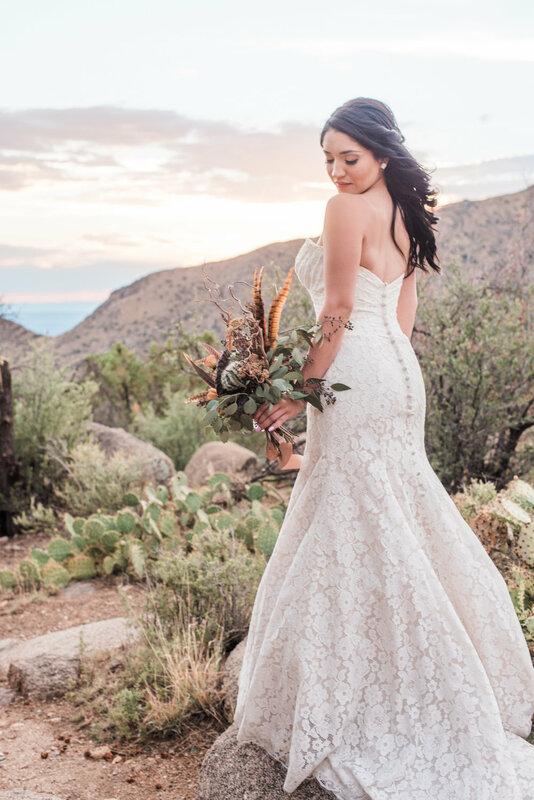 Editorial: Published in Albuquerque Perfect Wedding Guide. Briana Nicole Photography. Gown: Bridal Elegance by Darlene. Sandia Foothills, New Mexico. 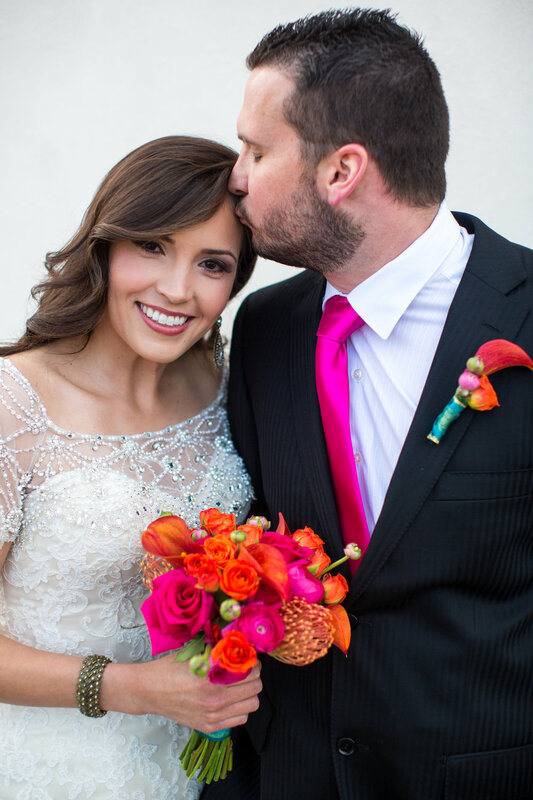 Real Wedding: Marie & David. Location: Immaculate Conception Catholic Church. Photographer: Blue Rose Studios. Maura Jane Photography. Hair Piece: Fiori Couture. Gown: Teresa Romero. North Valley, New Mexico. Editorial. Model: Sophie Stroud. Blue Rose Photography. Bosque Farms, NM. Published on Reverie Gallery & Storyboard Weddings. Model: Fatima Tahir. 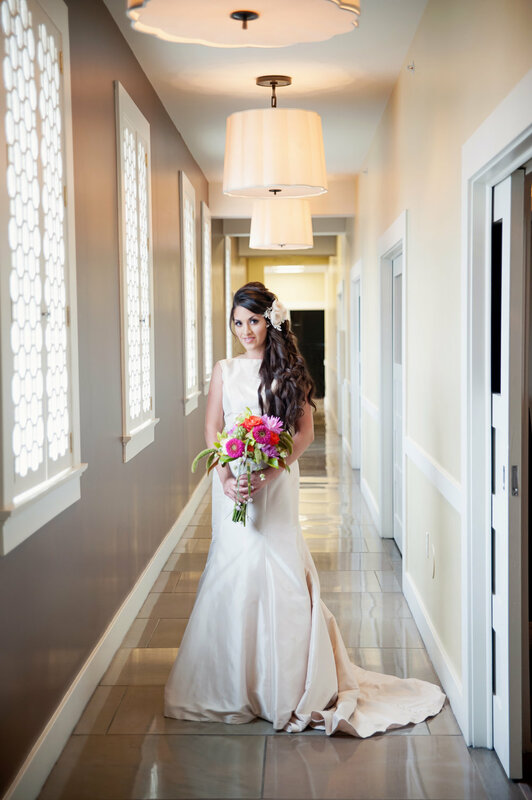 Headpiece & Gown: Bridal Elegance by Darlene. Photographer: Alicia Lucia Photography. 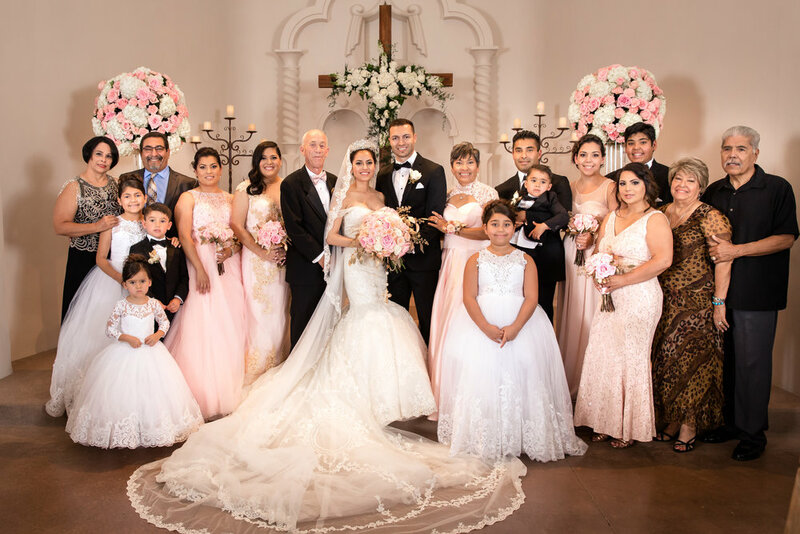 Real Wedding: Jennifer & Jose. Location: Noah's Event Venue. Maura Jane Photography. 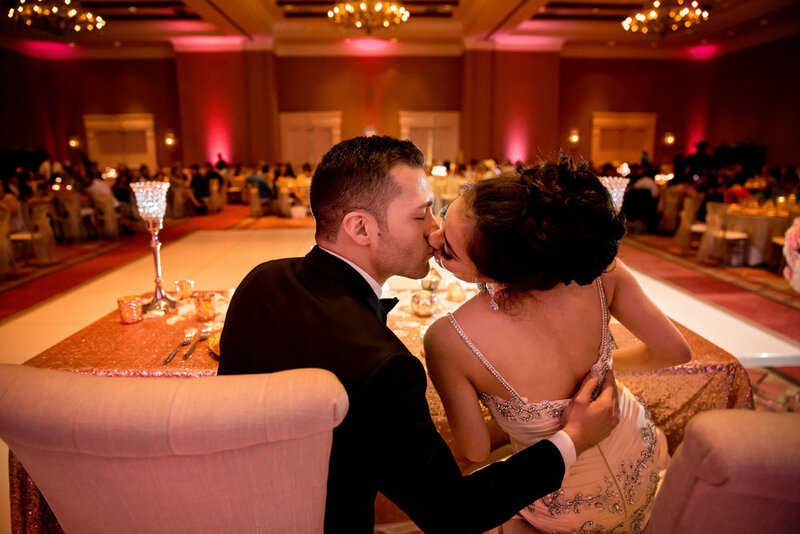 Published inprint & online - Albuquerque New Mexico Perfect Wedding Guide. Photographer: Briana Nicole Photography. Sandia Foothills, New Mexico. Editorial. Bosque Farms, New Mexico. Photographer: Blue Rose Studios. Editorial. New Mexico. Model: Sophie Stroud. Photographer: Blue Rose Photography. Real Wedding: Kathy & Jerry. El Dorado Hotel, Santa Fe, New Mexico. Blue Rose Photography. Editorial. Model Jaden Maizon. Gown: Teresa Romero. Photographer: Maura Jane Photography. Editorial: New Mexico. Photographer: Blue Rose Studios. Model: Sophie Stroud. Design, Styling + Rentals | Darling Details Vintage Decor Rental Co.
Editorial: Published online & in print. 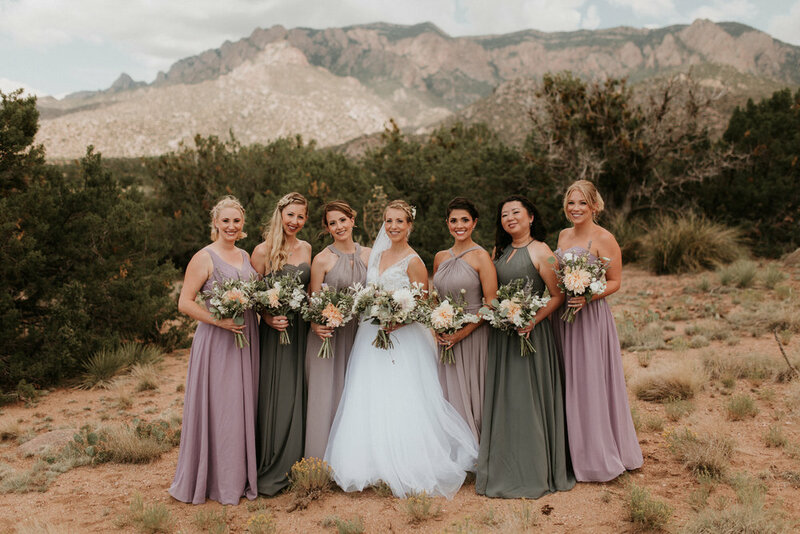 New Mexico Perfect Wedding Guide. Photographer: Briana Nicole Photography. Sandia Foothills, New Mexico. Real Wedding: Kathy & Jerry. Location: Eldorado Hotel, Santa Fe, NM. Blue Rose Photography. Editorial. Model: Sophie Stroud. Photographer: Blue Rose Photography. Bosque Farms, New Mexico. C. Johnson Makeup - hair & makeup. Editorial wedding shoot. Bridal hair & makeup, C. Johnson Makeup. Christy Johnson. Published online & in print. Photographer: Briana Archuleta. Sandia Foothills, Albuquerque, New Mexico. 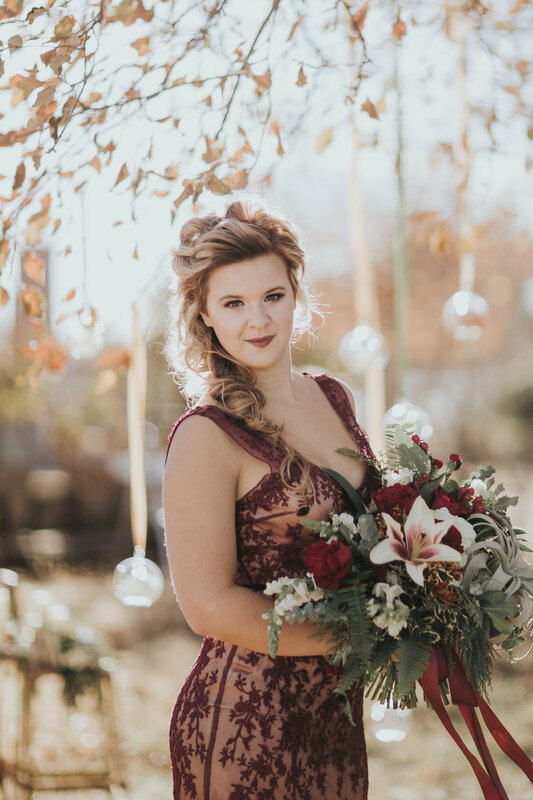 Editorial styled wedding shoot. 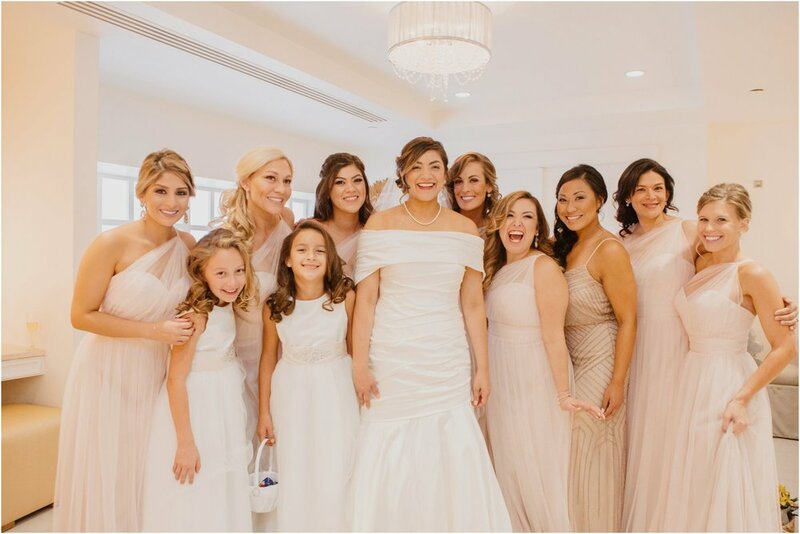 Bridal hair & makeup, Christy Johnson, C. Johnson Makeup. Styled & coordinated by Just Lovely Weddings & Events. Location: Casa Vieja Event Center, Corrales, New Mexico. Photos by Briana Nicole Photography. Real Wedding - Carin & Charlie. Hotel Albuquerque, New Mexico. Photographer: Tony Gambino. 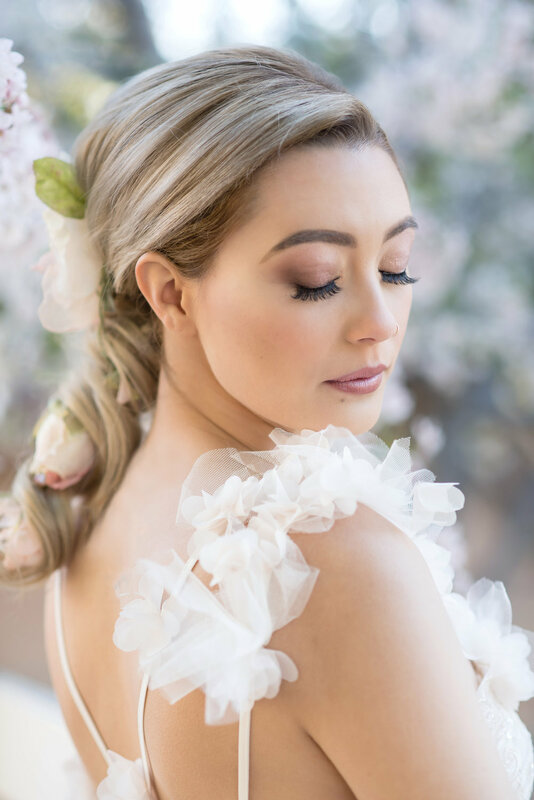 Bridal Hair & Makeup, Christy Johnson, C. Johnson Makeup. Coordinated by Sealed with a Kiss LLC.